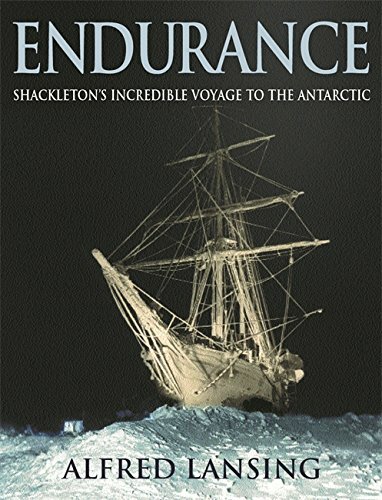 Bound for Antarctica, where polar explorer Ernest Shackleton planned to cross on foot the last uncharted continent, the Endurance set sail from England in August 1914. In January 1915, after battling its way for six weeks through a thousand miles of pack ice and now only a day's sail short of its destination, the Endurance became locked in an island of ice. For ten months the ice-moored Endurance drifted northwest before it was finally crushed. 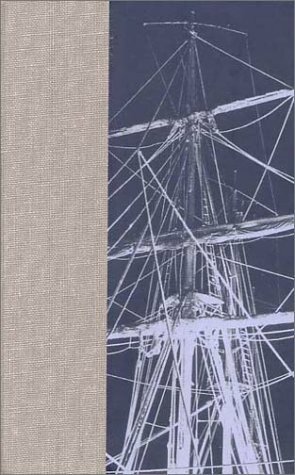 But for Shackleton and his crew of twenty-seven men the ordeal had barely begun. It would end only after a near-miraculous journey by Shackleton and a skeleton crew through over 850 miles of the South Atlantic's heaviest seas to the closest outpost of civilization. 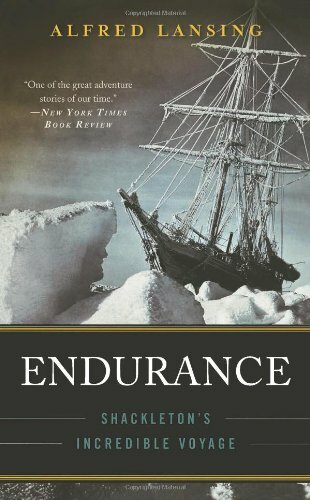 This astonishing tale of survival by Shackleton and all twenty-seven of his men for over a year on the ice-bound Antarctic seas, as Time magazine put it, defined heroism.” Alfred Lansing's brilliantly narrated book has long been acknowledged as the definitive account of the Endurance's fateful trip. In the summer of 1914, Sir Ernest Shackleton set off aboard the Endurance bound for the South Atlantic. The goal of his expedition was to cross the Antarctic overland, but more than a year later, and still half a continent away from the intended base, the Endurance was trapped in ice and eventually was crushed. For five months Shackleton and his crew survived on drifting ice packs in one of the most savage regions of the world before they were finally able to set sail again in one of the ship's lifeboats. 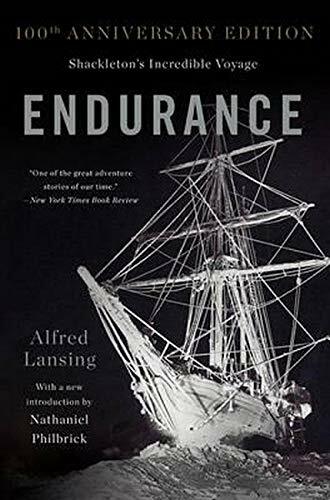 Alfred Lansing's Endurance: Shackleton's Incredible Voyage is a white-knuckle account of this astounding odyssey. 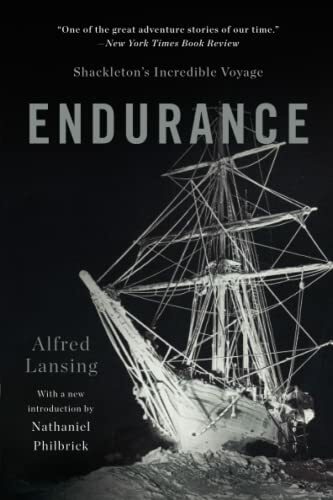 Through the diaries of team members and interviews with survivors, Lansing reconstructs the months of terror and hardship the Endurance crew suffered. In October of 1915, there "were no helicopters, no Weasels, no Sno-Cats, no suitable planes. Thus their plight was naked and terrifying in its simplicity. If they were to get out--they had to get themselves out." How Shackleton did indeed get them out without the loss of a single life is at the heart of Lansing's magnificent true-life adventure tale. 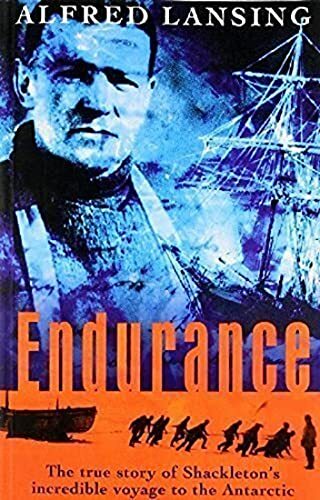 'A superb account of the greatest survival story of our time' - Chris Bonington The story of Ernest Shackleton's epic journey to cross the Antarctic overland has now been turned into four hours of gripping television with Kenneth Branagh playing Shackleton. Shackleton's mission failed, but the resulting adventure became one of the most celebrated accounts of man's survival against unbelievable odds. In August 1914 the Endurance set sail for the South Atlantic. In October 1915, still half a continent away from their objective, the ship was trapped, then crushed in the ice. Twelve hundred miles away from land, drifting on ice packs, Shackleton and his men survived the next five months on a diet of dogs, penguins and seals. When the ship eventually sank they were forced to escape by lifeboat. Shackleton then travelled another 850 miles in an open boat across the stormiest ocean in the world to reach help. Every single man got home safely. Miraculously, throughout this ordeal, the expedition's photographer, Frank Hurley, protected his negatives and photographs from destruction. It is these extraordinary photographs that are among those produced in this illustrated edition of Alfred Lansing's harrowing and inspiring classic.